Black FIre's Clamp Light makes working on the car to fixing the pipes under the sink alot more easier now. This flashlight is designed to clip on virtually anything, stand on its' own, or be held like a regular flashlight. The Head swivels to get light where you need it. Black FIre&apos;s Clamp Light makes working on the car to fixing the pipes under the sink alot more easier now. 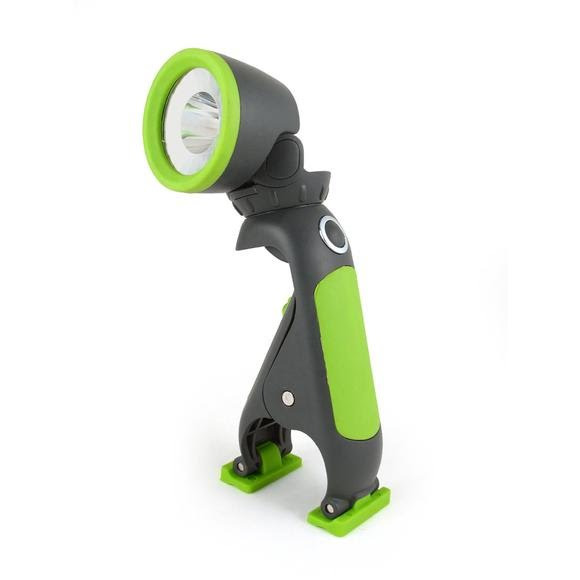 This flashlight is designed to clip on virtually anything, stand on its&apos; own, or be held like a regular flashlight. The Head swivels to get light where you need it.